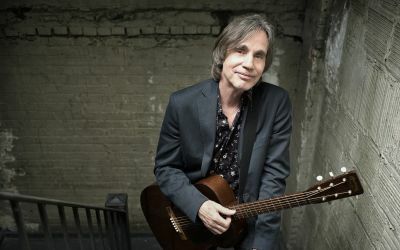 Singer-songwriter Jackson Browne announces July and August 2018 tour dates on the West Coast with his full band. Accompanying Jackson on the road on the West Coast are long time band mates Bob Glaub (bass), Mauricio Lewak (Drums), Val McCallum (guitar), Alethea Mills (Vocals), Chavonne Stewart (vocals), Jeff Young (keyboards), and the acclaimed multi-instrumentalist Greg Leisz (guitar, lap steel, pedal steel). For tickets and more information click here!